ALTHOUGH I’ve always been interested in music it was a throwaway comment by a friend of my daughter’s that led me to delve into the local music scene. She dismissed all Andalucian music as either flamenco or Europop and I wanted to see if she was correct. Fortunately for me, she was wrong, and wrong in a spectacular manner. For just a light scratching of the surface revealed a wealth of musical talent covering every conceivable genre, from death metal to hip hop. Another phenomenon that soon became evident is just how many of these bands and artists have added an Andalucian twist to a variety of genres, creating a sound you just don’t hear outside Spain. In future issues I will be looking in depth at these bands and their music, as well as bringing you news of forthcoming gigs and festivals. 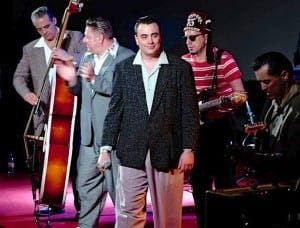 In the meantime, for all you classic rock’n’roll fans, this year’s Rockin’ Race Jamboree will be held at the Auditorio Principe de Asturias in Torremolinos from Thursday February 4 to Sunday 7, with a packed lineup of international artists. Gary Beaumont has been a music fan since he was a child (a long time ago) and has always enjoyed discovering new bands and seeing them perform live. Since moving to Spain at the turn of the millenium Gary has sought to promote local music through his websites, newspaper columns, radio shows and as part of the El Intercambio organisation. You can find more information about the local music scene on his website www.andaluciamusic.com or hear his radio show on Castle Radio 89.2 FM each Wednesday from 10 pm, repeated Saturday at 11 pm.